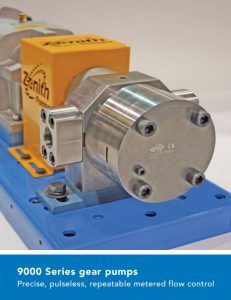 Circor metering gear pumps and metering systems from Zenith are used in a variety of markets supporting critical process applications with precise, pulse free and reliable fluid handling systems. In addition, Zenith pumps offers a line of standard system pumps with their 9000 Series, H Series and B Series pumps. These systems come pre-engineered, typically with a motor, coupling, base plate and alignment. Dating back to the 1920’s; this expertise enables Zenith to gather best practices of lean manufacturing and design engineering to provide the best systems to the market. Furthermore, these standard systems drives compatibility with the manufacturing systems of our customers, thereby increasing speed to market and acceptance. Zenith Pumps and systems are used in a range of applications in a variety of markets. Zenith pumps feature a wide operating flow, pressure and temperature range capable of handling abrasive, corrosive, hot, cold, viscous, toxic and shear sensitive fluids. 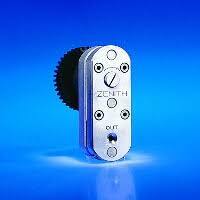 Generally, Zenith pumps meter chemical solutions; yet the requirements of each generic metering function can be industry specific.